Can flower in Autumn, and Spring as flowwers without vernalization. Flowers are more open-centred than regular Pomponette types. 10cm. 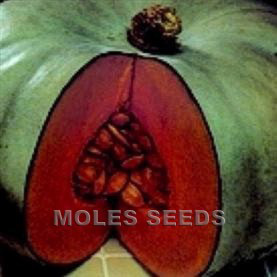 Perennial grown as biennial, sow June-July on the compost surface, germinates in 1-2 weeks at 15-20°C. 6,000 seeds per gram, 1/2g for 1,000 plants. Ideal for mass Spring bedding. Sell in: 6-packs. 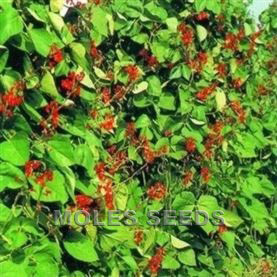 Sell in Autumn as green plants with a colour label, and in flower in the Spring. Galaxy can be sold in flower in its first Autumn. 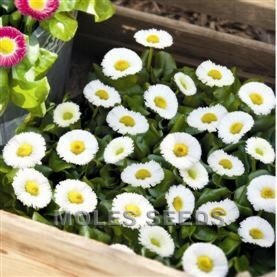 Large flowered types also suitable for 9cm pot sales.